*Disappointing so far this season, being pulled up in both the G2 Cleeve Hurdle at Cheltenham in January and the Glenfarclas Cross County Chase at the same venue at the Cheltenham Festival in March. *Has contested four Grand Nationals at Aintree, with his best efforts coming when second to Many Clouds in 2015 and then third to One For Arthur in 2017. He finished ninth of the 17 finishers in the 2013 renewal (when trained by Tim Vaughan) and was pulled up before the last fence on testing ground after leading at the start of the second circuit in 2016. *Has also raced over the Grand National fences three more times in December's Becher Handicap Chase, falling at the first in 2016, finishing seventh in 2015 and coming home third in 2014. *He was moved to Tom George's Gloucestershire yard during the summer of 2014. *Dual winner over Aintree's Mildmay Course during the Randox Health Grand National Festival, capturing the Grade One Sefton Novices' Hurdle in 2011 and the Listed Betfred Handicap Chase in 2012. David Fox, born in June, 1939, lives in Staffordshire and is chairman of West Midlands-based PP Control and Automation Limited, formerly known as Power Panels Electrical Systems Limited. The company was founded in 1967 by Fox, operating from a 1,200 square feet unit in Walsall with just a handful of staff and supplying small volume electrical controls and distribution equipment. It is now one of the global leaders in electrical control systems, cable harnesses and sub-contract manufacturing solutions. Fox says his company deals with "12 of the world's number one companies in the field of electrical systems". He adds: "We make the machinery that makes parts for industries ranging from automotives to aerospace and medical. Most people in the UK will have something in their homes that we have put our hands on." The company employs more than 200 people at a recently extended 55,000 square feet manufacturing facility in Cheslyn Hay near Walsall, but due to new technology he says that number could rise in the future as the company expands into fields such as airport security and food packaging. Fox was an apprentice in his field who bought a failing company in 1979 and built it up. He remembers with delight the day the company turned over £1,000,000. The current turnover is now £22 million a year, with a target of £40 million by 2022. His interest in racing formed as a young man - "somewhere between football and cricket and probably through having a bet". In 2005 he entertained some business clients at Worcester races and enjoyed the experience so much he decided to get involved as an owner. He says it is his ambition to own a Cheltenham Festival winner. Fox, who has a son, two daughters and grandchildren, has enjoyed two Aintree victories with Saint Are - the Sefton Novices' Hurdle (2011) and Listed Betfred Handicap Chase (2012) - plus second in the 2015 Grand National and third in the 2017 renewal. He also has other horses in training, some in his name, and others racing for PP Control and Automation Limited including chaser Some Are Lucky, hurdler Sumkindofking and handicap chaser A Good Skin, who was second at the Cheltenham Festival in 2016. Born: June 4, 1967 Background: began his training career in 1993 with 14 horses from his base at Springbank Stables in Slad, near Stroud, Gloucestershire. At the age of 26, he was one of the youngest Jump trainers in the country, but he had plenty of experience, having previously worked for Martin Pipe, Arthur Moore and Francois Doumen, three of the then most successful trainers in England, Ireland and France respectively. 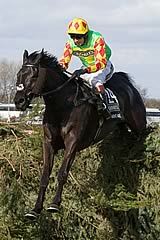 Tom George's local track is Cheltenham and he won there with Newton Point in his rookie season. A boost for his yard came when Galileo won the Royal & SunAlliance Novices' Hurdle at Cheltenham in March, 2002, providing the trainer with an initial success at The Festival. The horse was racing for only the second time over hurdles, having been bought off the Flat in Poland. Nacarat provided George with a G1 success in the Betway Bowl at the 2011 Grand National Festival, while he has also enjoyed G1 success in France, with Halley taking the Prix Maurice Gillois Grand Steeple-Chase 4 Ans in 2011. God's Own has been a flagbearer for the stable in recent years, with three G1 triumphs including in the 2016 JLT Melling Chase at Aintree. George is enjoying a great season in 2017/18, headed by the performances of Summerville Boy - winner of the G1 Tolworth Hurdle at Sandown in January and the G1 Sky Bet Supreme Novices' Hurdle at the Cheltenham Festival. Tom is married to Sophie, daughter of former trainer John Edwards, who helps source horses for the yard. Their son Noel has ridden successfully as an amateur. Edwards trained Little Polveir, who had had three runs in the Grand National before being sold for 15,000 guineas to trainer Toby Balding who sent the horse out to win the 1989 Grand National.